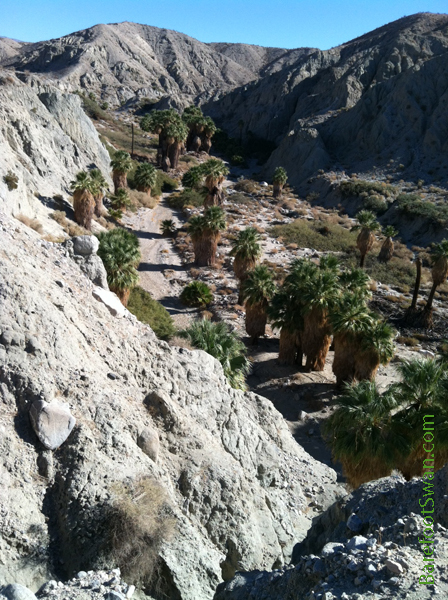 This past weekend we decided to burn some Thanksgiving calories with a hike to Pushwalla Palms. 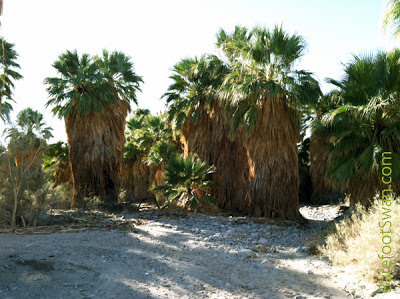 Pushwalla Palms is one of a number of palm oases located in the Coachella Valley Preserve, in Thousand Palms, CA. The weather was perfect for a day outside - highs in the low 80's and a beautiful blue sky. 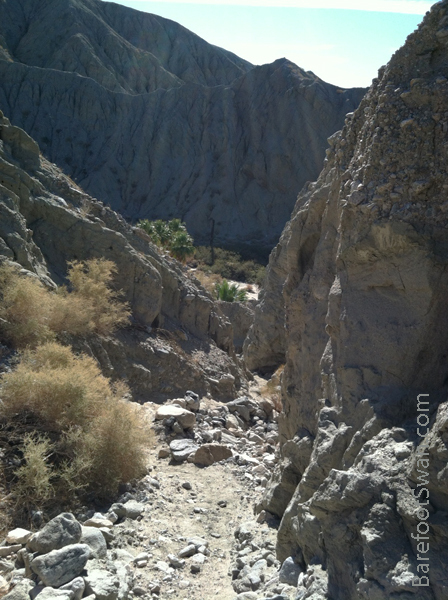 In fact, the day was so gorgeous we decided to make a longer loop, by adding Hidden Palms and Horseshoe Palms to our hike. 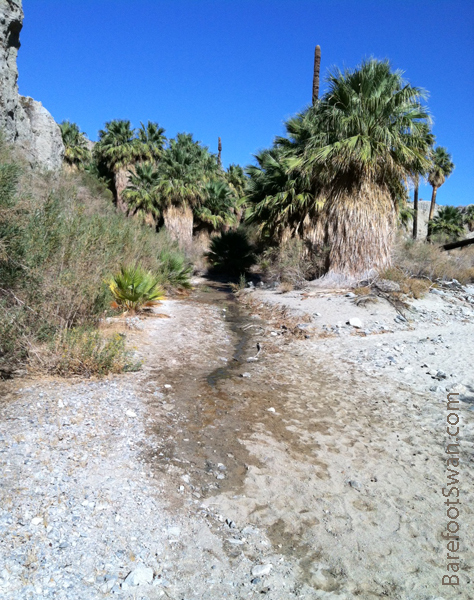 Palm oases are leftovers from a time when our desert had a much wetter climate. These particular oases are located along the infamous San Andreas Fault, which cuts through our Coachella Valley in a diagonal path from the Salton Sea through the Banning Pass. 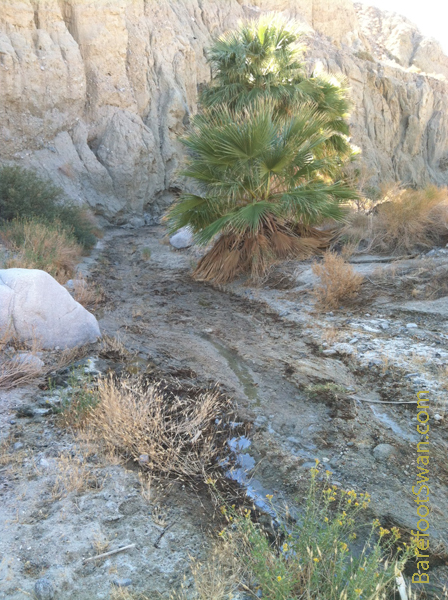 At various points along the faultline groundwater reaches the surface, providing moisture that the palm trees need to survive. 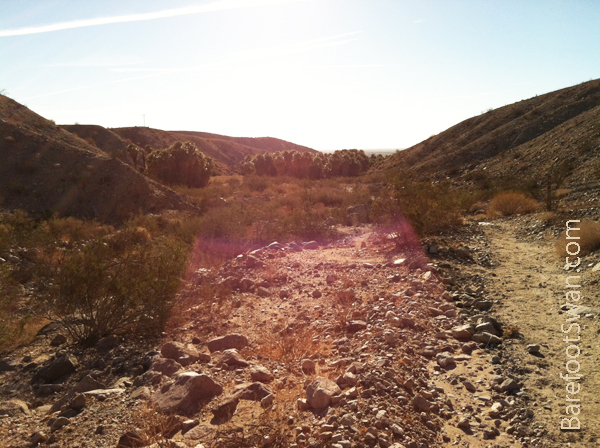 Here are some pics from our hike. 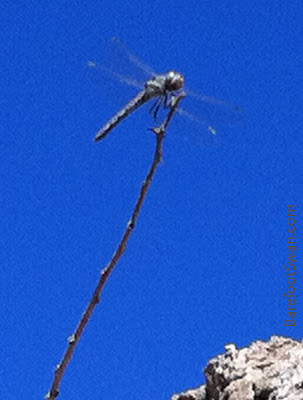 The water also attracts butterflies, bees and dragonflies. 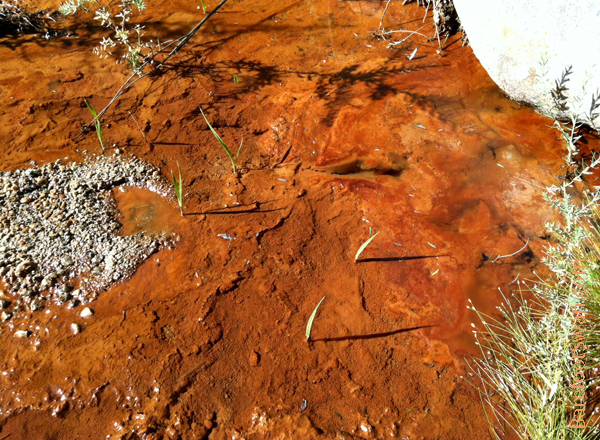 Butterflies drink water that has absorbed minerals and salt from the soil around it. These nutrients are an important part of their diet. 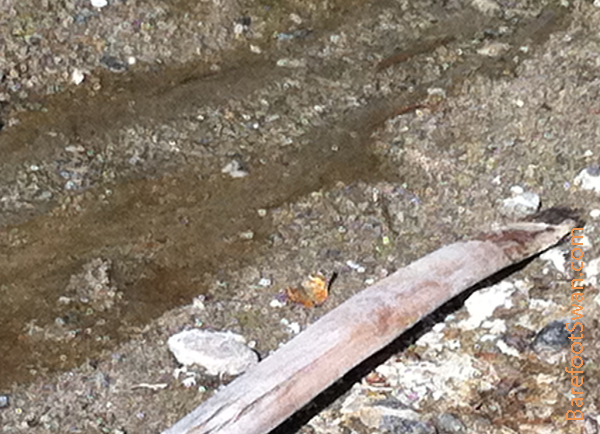 When butterflies drink from shallow water like this, it is called "puddling". The ripe palm fruits are an important food source for birds. 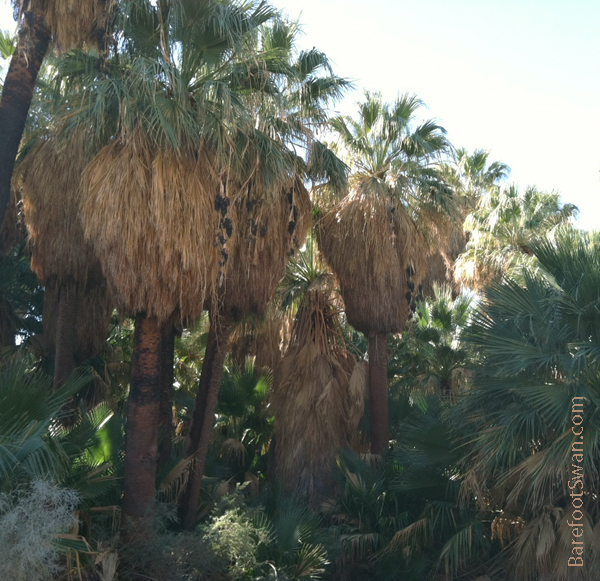 Owls often roost in the dried frond skirts of the palm trees. 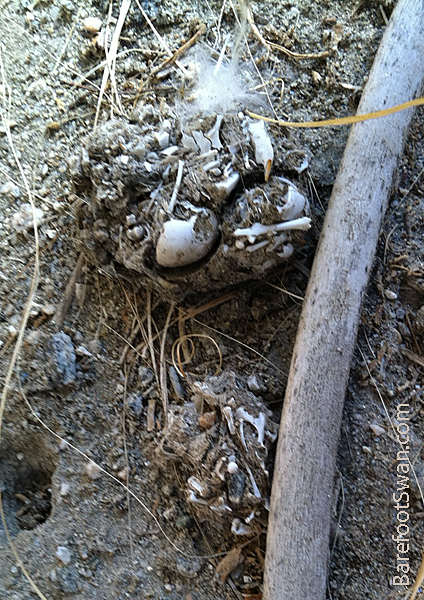 We found quite a few boluses, or owl pellets, at the foot of the palm trunks. The pellet is the undigestible part of an owl's meal, which it coughs up. 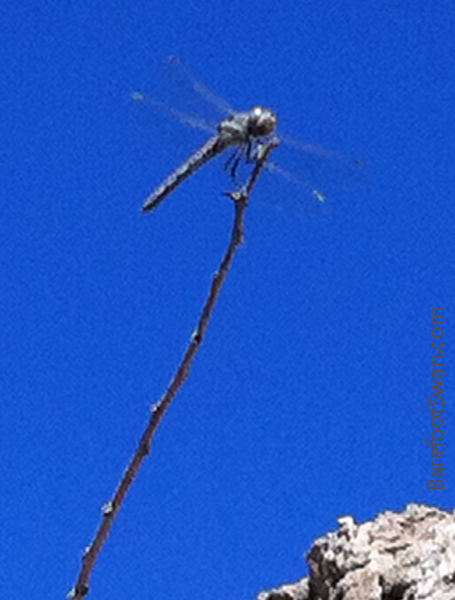 The pellet may contain fur, bones, claws, feathers, insect exoskeletons and other parts of the consumed prey. These parts have no nutritional value. They do have scientific value, however. 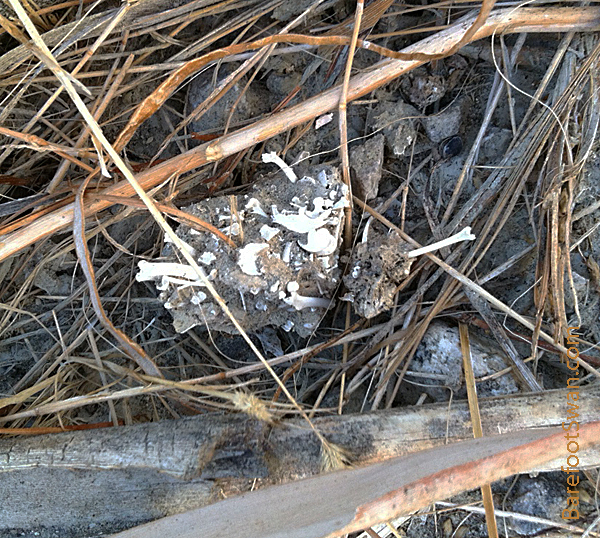 Researchers can collect, dry and sterilize the pellets before dissecting them to identify the contents. 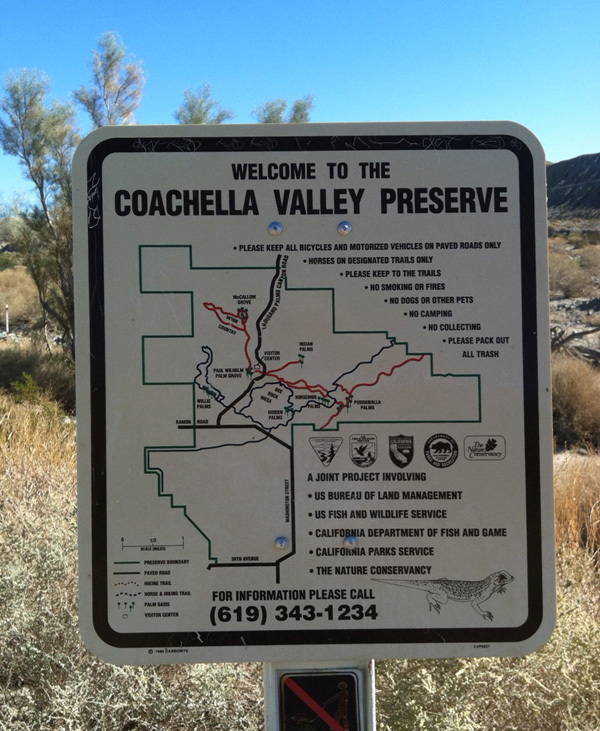 They can then identify what the owl has fed on, and by extension what other animal species are living in the area.